This special plant is a very choice specimen for an alpine garden, rockery or trough planting, producing masses of Twinkling Star shaped flowers. 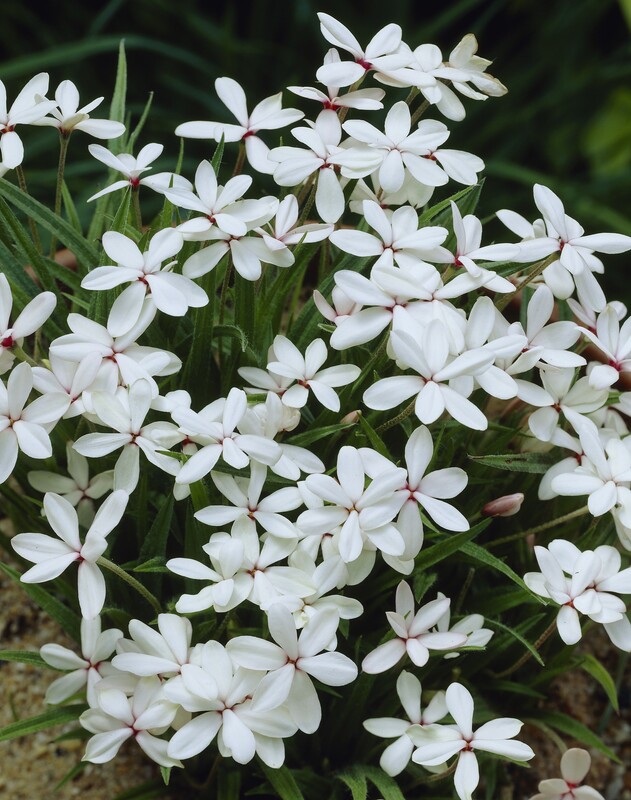 Rhodohypoxis is a bulbous South African native, it has grassy leaves and star-shaped blooms froms May-August, on plants reaching just 10-15cms tall. Supplied in approx 12cm/1 litre containers. full of buds and flowers in season. They can be grown in patio containers, an old sink, between paving stones, in dry-stone walls or in a rockery - so are perfect for small, modern gardens, patios or balconies or simply at the front of a garden border.